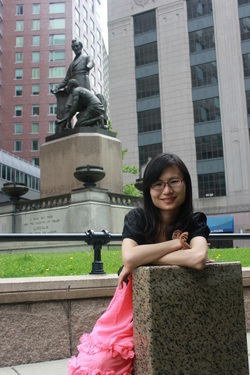 Meijing Wu received her Ph.D. in Biostatistics from Department of Health Statistics at Second Military Medical University in Shanghai in 2014. Before that, she had worked as a teacher of statistics for five years in the same department. There she provided statistical consultancy to students and medical doctors in study design and statistical analysis; and participated in the design, data management and statistical analysis for several clinical trials and epidemiology studies. For her Ph.D. study, she focused on statistical modeling and application for multi-treatment Bayesian propensity score analysis in observation studies. She provides statistical support in the lab, including experimental design, statistical analysis and grant and manuscript preparation.